This is a serious charge and you need a serious criminal defense attorney. In Texas, even a first offense Aggravated Robbery is a First Degree Felony charge that can lead to a sentence of Life in prison. Even if you avoid a long prison sentence this kind of charge is very damaging to your long-term criminal record. You cannot take a passive approach to your defense in these cases. The Fort Worth lawyer handling your robbery charge needs to investigate every option for avoiding a conviction. You can call James Luster at his Fort Worth criminal defense law firm. You need to develop a strategy for your defense as soon as possible. In some states there is a felony charge for Armed Robbery; however, in Texas “Armed Robbery” is a kind of Aggravated Robbery. "Robbery" happens when someone is trying to steal something (commit theft), and while the person is trying to commit theft they hurt someone or threaten someone. It becomes "aggravated" if the robber is armed or has a deadly weapon. A deadly weapon is not just a gun or firearm, it also includes anything that could cause death or serious bodily injury. So, if someone commits robbery while using (even displaying) a deadly weapon then the charge becomes aggravated. This increases the possible punishment. Without any criminal history, an aggravated robbery sentencing Texas ranges from a minimum of 5 years to 99 years or Life in prison (Texas Department of Criminal Justice). Because this is considered a "3g Offense," you cannot get probation from a judge after a trial. Only a jury could decide to give you probation. So, if you are accused of armed robbery or aggravated robbery in Texas, then you need to speak with a Fort Worth criminal defense attorney immediately. If a robbery or aggravated robbery occurs in someone’s home you may hear the term “home invasion” used in the media or by the prosecuting attorney. Often these robbery or aggravated robbery charges are coupled with Burglary of a Habitation charges. In some instances the prosecuting attorney in Tarrant County may target your case if it falls into this category. On many occasions robberies with this alleged fact pattern are difficult cases to work out with a plea agreement. You may be in a situation where the government will not make a “plea offer” on the case. This situation makes having a skilled criminal defense trial attorney on your side all the more important. 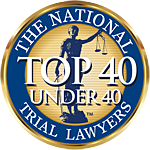 We have experienced and hard working trial attorneys to defend robbery cases in jury trials and in plea negotiations. James Luster’s office is located in downtown Fort Worth, Texas. Make an appointment to discuss your case, today. Aggravated robbery is a First Degree Felony (1st Degree). Which means, even if a person has no criminal history and they are convicted of aggravated robbery they are facing up to 99 years or life in prison. Your ability to get any kind of probation if you are convicted of aggravated robbery is very limited. To discuss the possibility of getting probation on an aggravated robbery case you should speak with an experienced criminal defense attorney. According to Texas Code of Criminal Procedure 42.12 (3)(g) a judge cannot sentence a person to probation (community supervision) if the person is found guilty of aggravated robbery. If a person meets other requirements, including having never been convicted of a felony, then a jury can assess probation (community supervision) for a conviction of aggravated robbery in some instances. This kind of charge is an extremely risky case to try before a jury. Do not go before a jury with an attorney that is not comfortable and skilled trying difficult cases. Even when a robbery is caught on video, in some cases, a jury can be convicned to sentence the accused to probation. Threating someone who is someone that is disabled with imminent bodily injury or death. If someone has no criminal history then an aggravated robbery sentence is from 5 years to 99 years or Life in prison (TDCJ). Aggravated Robbery sentencing decided by the jury can result in probation if the person on trial does not have a felony conviction. However, if someone is found guilty at trial, and a judge decides on the sentence then a person cannot get probation. Unlike the Federal sentencing system, there are not specific guidelines for sentencing. So, the jury or the judge has a huge range for deciding on the penalty in any case. Unfortunately, many aggravated robberies are caught on video (e.g. store surveillance). This makes fighting guilt-innocence at trial difficult, if not practically impossible. In those cases you need a Fort Worth criminal attorney that will put in the tremendous amount of effort required to get the best aggravated robbery sentence possible. The first two categories are pretty common sense. The government can present evidence of someone’s criminal history and other “bad acts” that have not resulted in a criminal conviction. Your criminal attorney can present evidence of good character and acts. This might include a history of taking care of dependents (children or elderly parents). It also includes work history, education history, and community involvement. “Character Letters” cannot practically be used at aggravated robbery sentencing, because out-of-court statements (written or spoken) generally cannot be used in court. These statements are considered “hearsay” in most circumstances. So, your criminal attorney needs to actually interview witnesses and call them to testify at the sentencing phase of your aggravated robbery trial. This can be a lot of work, and an attorney cannot wait until the last minute to prepare your case. The third category of evidence is “mitigation,” and this is the most under-utilized and least understood. Role in the Offense: Even though the Texas Law of Parties makes the defendant just as guilty as any actors, the defendant had a lesser role in the aggravated robbery. This is like arguing the defendant is an accomplice or accessory to the offense committed by other people. Influence of Drugs or Alcohol: Intoxication is not a defense to a crime in Texas, but it may be a mitigating factor and lead to a lesser sentence for aggravated robbery. So, your criminal attorney may present evidence the defendant was under the influence of drugs, alcohol, or both. Further, the attorney should present evidence that absent the intoxication the defendant is not the kind of person that would commit the crime. This is a dangerous mitigating factor, because at sentencing “excuses” may anger jurors. It may seem as though the defendant is shirking responsibly for the crime. So, it is important that an attorney present the evidence in a way that shows the jury that substance abuse is not an “excuse” instead it is a problem that has a solution (i.e. treatment). Motive for Robbery: Evidence of a defendant’s mitigation for committing aggravated robbery may be important for sentencing. Once again, an attorney walks a fine line between mitigation and “excuse.” However, if someone is robbing a store because they perceive their family’s financial situation as hopeless then an attorney can explain to jurors that bad actions may be motivated by better intentions. The list goes on, but the point is a criminal attorney needs to prepare a thorough mitigation case at trial for aggravated robbery sentencing. This cannot be done unless the lawyer investigates and puts tremendous effort into piecing the case together. No two cases are the same, but our firm has received outstanding verdicts for sentencing in aggravated robbery cases. Regardless of how hopeless your case may seem, you do not want to be in a position where you receive a Life Sentence and you are left wondering if the attorney could have presented a better case. Getting the best possible aggravated robbery sentence may require the help of private investigators, psychologist, doctors, or other experts. James Luster has a substantial network of experts throughout Texas. Call James Luster today, so he can get started on putting the best punishment case together for you or your loved one.